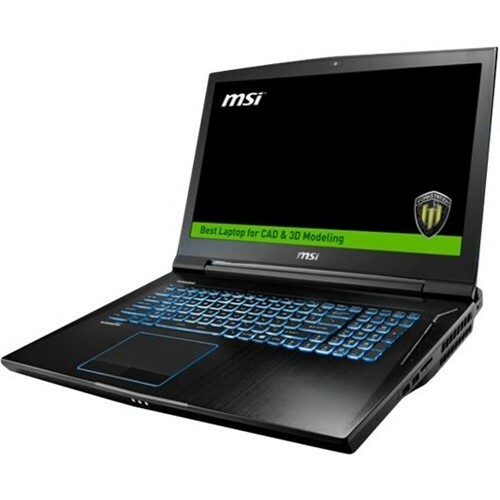 The MSI WT73VR 7RM 687US is another powerful mobile workstation which is equipped with the processing power of the powerful Intel Xeon E3-1505M v6 from Kaby Lake architecture. This processor features a whopping 8 MB level 3 cache and runs at the base clock speed of 3.0 GHz with Turbo Boost technology that increases the processing speed up to 4.0 GHz. This processor is very powerful enough for a very demanding applications. It has a dedicated graphics controller dubbed NVIDIA Quadro P5000 graphics equipped with 16GB GDDR5 dedicated video memory. This powerful GPU will bring astonishing performance when running Autodesk Stingray with VR headset as well as other extremely demanding CAD/CAM applications. This mobile workstation will be the best platform for creating virtual reality content and bringing homes and offices much closer to its future owners than ever before according to MSI. The MSI WT73VR 7RM 687US boasts with great features such as a whopping 64GB system memory for intense multitasking and gaming with this you will never run out of memory again with support of the advanced DDR4-2400 memory, achieving over 32GB/s in reading speed and 36GB/s in writing. A humongous combination of 1TB hard drive and 512GB solid state drive (SSD) for a blend of storage space and speed. Other features include COOLER BOOST TITAN - dual fans with 10 heat pipes for ultra cooling performance; dynamic temperature / performance balancing that pushes system to the extreme while minimizing noise and temperature; built –in media reader for simple photo transfer; Sound by Dynaudio system; Keyboard by Steelseries with full-color backlighting; Exclusive Silver Lining Printed keys; high definition webcam with microphone; and 8-cell 75WHr battery to be able to use this laptop whenever you are away from the main source of electricity. It comes in Aluminum black for stylish look. 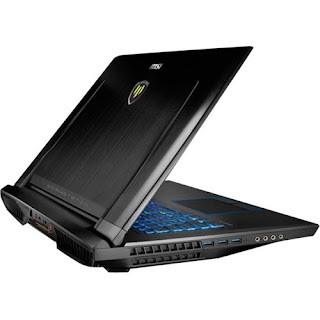 This gaming laptop PC is equipped with 17.3" full HD display with a screen resolution of 3840 x 2160.The resolution of this laptop is very high compared to other laptops, so it is expected that the display is sharp and clear compared to those with lower screen resolution. The display offers energy-efficient LED backlight. It also has a True Color Technology that increases color contrast and greater visual detail. With regards to connectivity, this laptop comes with Thunderbolt™ 3 supporting 40Gbps ultra speed data transfer rate, 4K monitor output, and portable charging power up to 5V/3A (optional); 5 USB 3.0 ports maximize the latest high-speed devices; 1 USB Type-C port; Next-Gen Intel® Wireless-AC connectivity; Bluetooth 4.2 interface syncs with compatible devices; and mini DisplayPort and HDMI output port to expand your viewing options. 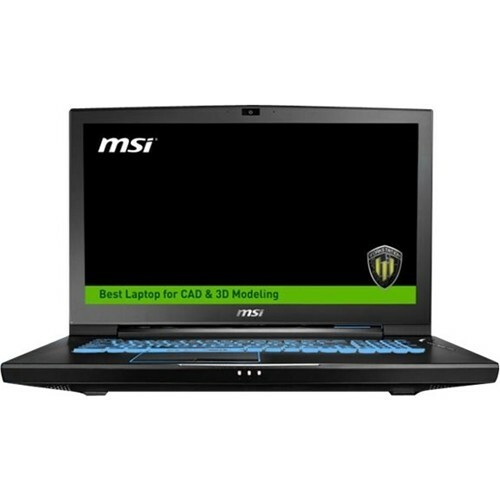 This MSI WT73VR 7RM 687US is powered by Windows 10 Pro Edition operating system. This laptop has the following dimensions: 1.9 inch x 16.9 inches x 11.3 inches and weighs about 9.13 pounds. Since, this laptop is equipped with a powerful processor, don’t expect it to be light and thin. You can get this laptop PC at the price of $4999.99. Do you own this workstation? Please let us know your experiences with this device.